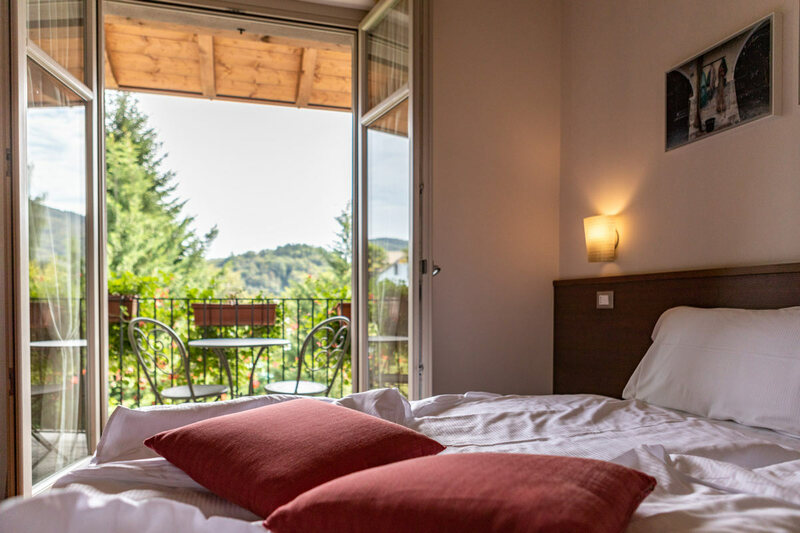 The 34 rooms, which include 2 Superior rooms and 2 Junior Suites, lie on two floors and mainly offer views of the surrounding hills, mountains and woods. Almost all rooms have natural parquet flooring. 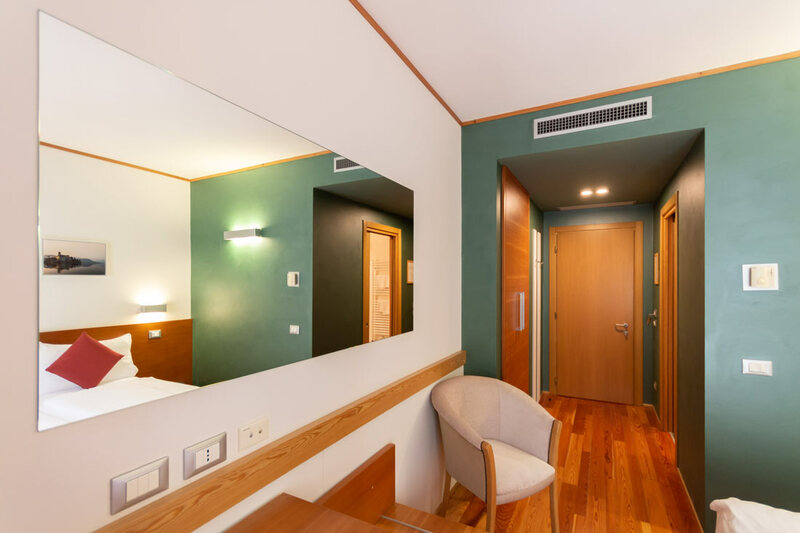 They are modern, welcoming and functional, and are maintained to the highest standards of comfort, hygiene and cleanliness for which our hotel stands out. 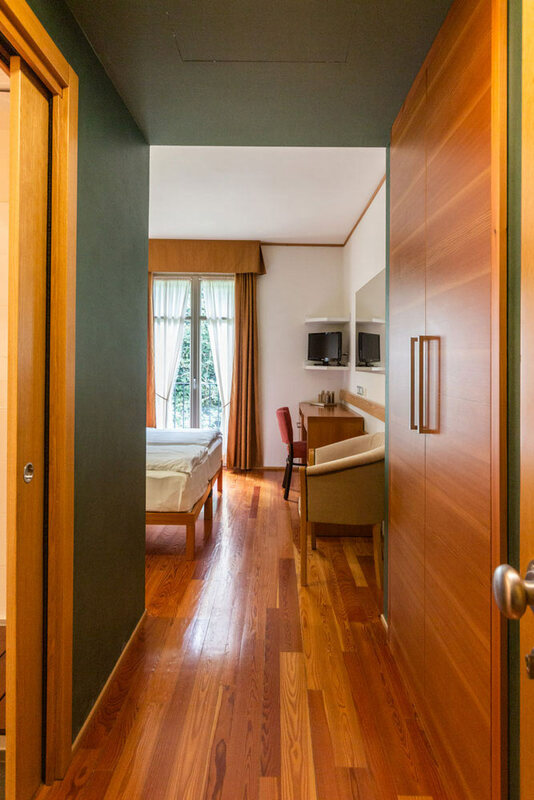 Some rooms can accommodate a third bed for families and we also have rooms with disabled access. Small domestic animals can be accommodated only on request and according to availability of appropriate rooms.